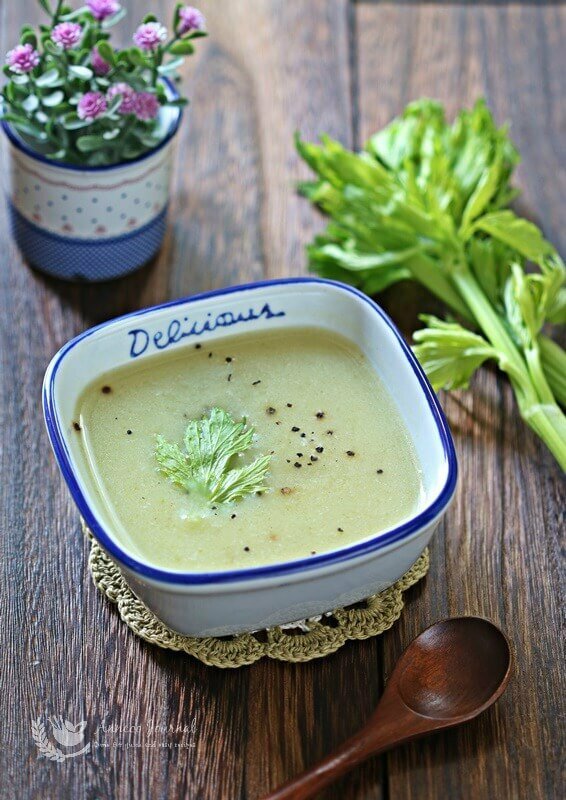 This delicious celery soup is very healthy and and high in nutrients, as celery is rich vitamin C. Celery soup is often referred to as a weight loss soup as it provides low-calorie dietary fiber. It helps to lower cholesterol levels and reduces high blood pressure. 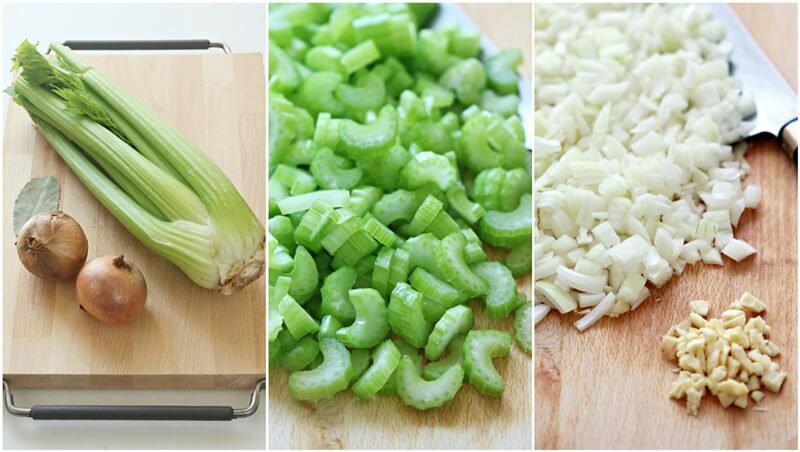 This is also a great way to use up the vegetable since I had some leftover celery from making a salad. Preparation is very simple as you only need to combine just a few ingredients and get them blended together to produce this tasty soup. 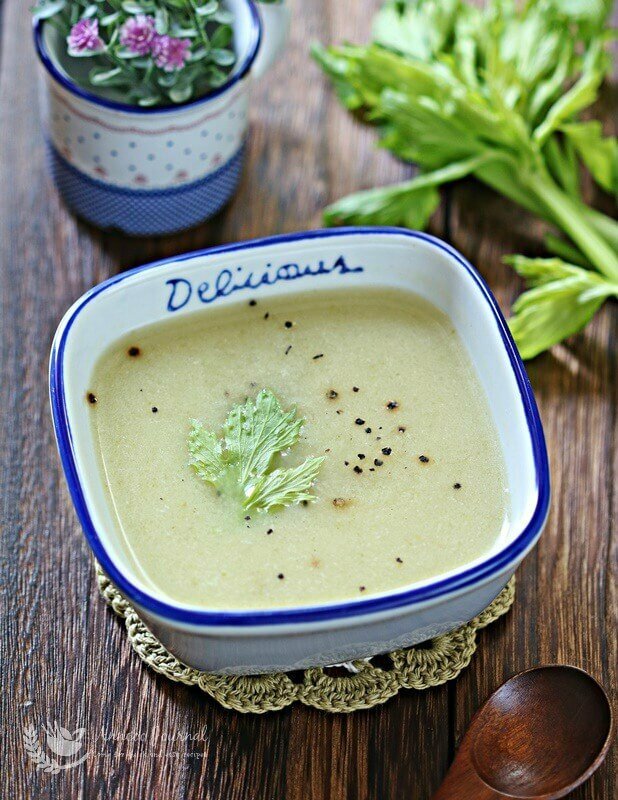 You can serve this delicious celery soup as a light meal, served with crusty bread or as a starter. In a pot, melt butter and add chopped onion and saute for about one minute. 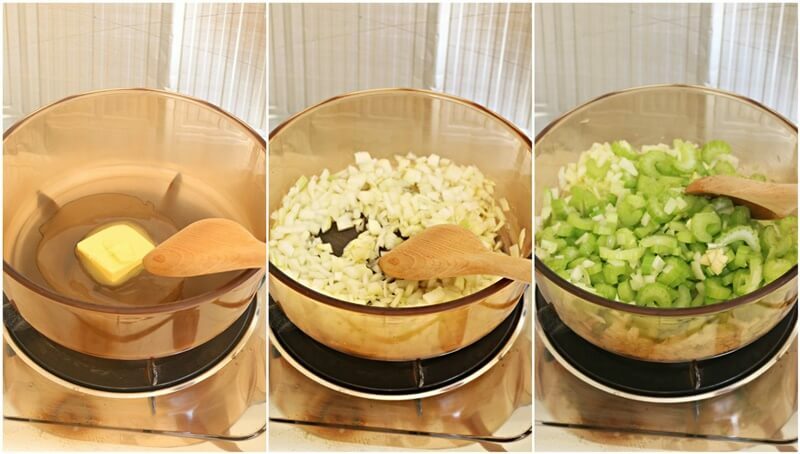 Pour in chopped celery and garlic, continue to saute for another 2-3 minutes till vegetables become soft. Sprinkle plain flour over the vegetable and mix well. Pour in chicken broth and bay leaves, bring to boil. Then lower heat and simmer for about 30 minutes. 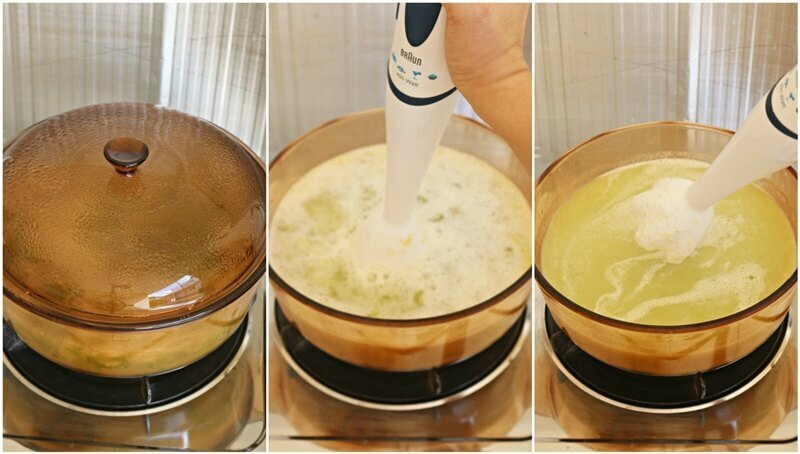 Turn off heat and puree the soup mixture (discard bay leaves) with a hand blender till smooth. 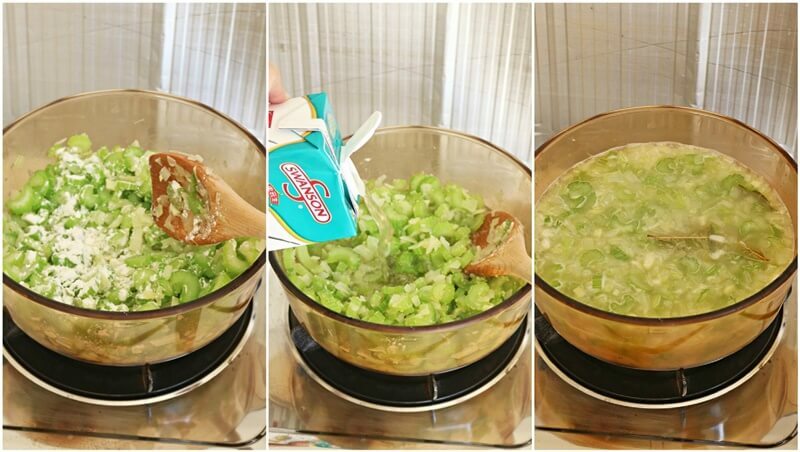 Turn on heat again and bring the celery soup to a boil with some salt to taste and serve immediately with a dash of black pepper. 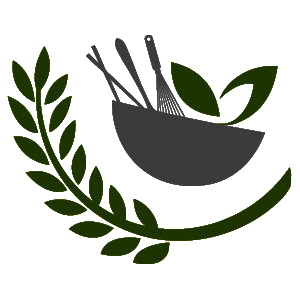 Best to serve with crusty bread. Looks so appetizing and healthy!